The highly anticipated Vanquish sets a new standard in the lightweight front drag spinning segment. The highly anticipated Vanquish sets a new standard in the lightweight front drag spinning segment. With its extremely lightweight design which is build on the most high grade composites from Shimano, like the Shimano patented CI4+ material and magnesium alloy, the new Vanquish is even lighter than its famous predecessor. Not only the reel itself is lighter but when one picks up the reel to give the handle a swing one will really notice the major improvement of this new Vanquish. Because of a totally new design of the Magnumlite Rotor and related internal parts the reels run smoother than ever before. 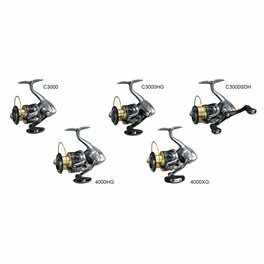 Build on the design capabilities of Shimano resulting in the Hagane body and the Hagane gear the angler can be confident to enjoy the outstanding performance of this reel for many years to come. 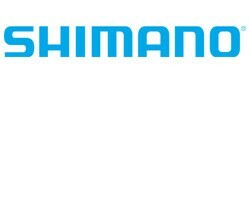 Shimano offers the new Vanquish in many different models to satisfy the need of every avid angler out there. The Vanquish is developed with only one thing in mind; "Only the best is good enough! ".